Humor with an Attitude: The Scotland of India had its royal salute. I woke up by the Mobile alarm and a call simultaneously, may be the punctuality was waking me up. Got up tied our 15Kg Backpack on the side of Tbird, Started Rolling. We hit the Mysore road, still dark. We crossed Muddur around 5Am and saw a 24Hour open Sign with Yellow neon saying just a single letter-“M” with soft corners. Checked a quick bite, sipped some cold water and was ready for the roll. 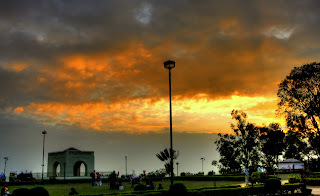 Next Pit stop was Mysore. 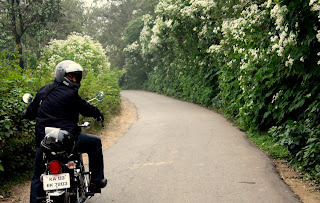 We reached Bylekuppe around 9 in the morning; it was a beautiful drive with 80-90Kmph as average speed. 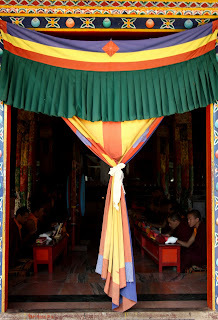 Bylekuppe near Kushalanagar is one of the largest Tibetan settlements outside Tibet. The 1960 settlement looked old enough and as a part of India with Tibetan signs. The gold-coated Buddhist statues in the monastery were imposing and unique, reflecting the rich cultural heritage of the Tibetans. The statues were of Guru Padmasambhava, Buddha Shakyamuni and Amitayus. 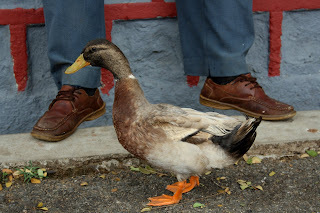 We saw a large croud of locals who were more interested in clicking their photos in a group than the surroundings. Soon we had our Momos and Thukpa, quite ok in taste. The sun was getting hotter as we jammed 200km. 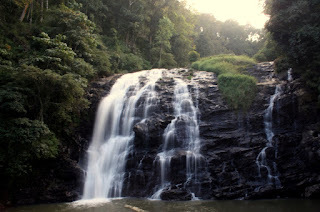 Our next stop was Madikeri-The Scotland of India. The Road from Kushalnagar to Madikeri was a mess and it took us 2 hours to reach our final destination. We got a lovely homely Homestay with first floor as our stay including a view over the Madikeri coffee estates and a lovely balcony. This was our time to relax. The garden was full of fruit trees and beautiful flowers. It was like a small garden creek on the mountains with litchi trees, Fig, Pomegranate, Guava, Mango, Oranges, Peach trees. We plucked some of them and got delighted. We went to a small ride into the town, it got really dark and shut down early and we too retired early for the day. 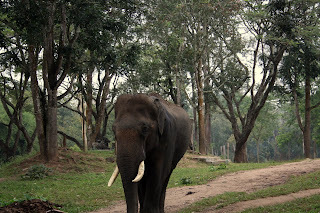 We woke up early and moved towards Dubare Elephant Camp by another breathtaking route with valley view, waterfalls, coffee estates and flowery road. 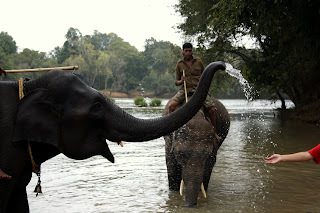 We had our elephant interactions which started with bath in river Cauvery along with mighty giants. Rule1: The Harder you scrub the Elephants, the more they enjoy. Rule2: When elephants bathe, don’t go near their rear as they may drop a load. Rule3: After the bath keep distance, as they get into playful mood. On the way to Nisaragdhama, we met two small kids selling raw Sitafal (Custard Apple), we were surprised to see a new variety. We tried to ask them on how to eat but the language barrier played their part. Finally I bought two of Sitafal for mere 2 bucks. Plunged my teeth harder into them, got a taste of its raw bitterness. Finally one swift pulled over us and told the wisdomary words that we need to store them into a bag of rice for at least a week then it will be worth the grab. Astonished but delighted, we tossed them across jungle and proceeded towards Island. The island was beautiful Bamboo forest with a pass over beautiful Hanging Bridge. We were welcomed by a flock of small, timid rabbits. We fed them oranges with skin and proceeded to meet our ancestral species. 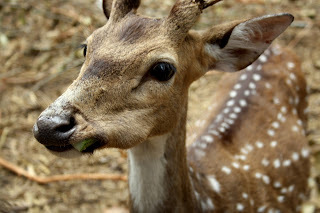 We also saw a Deer park with around 25Deers (Sambar-Asian deer and Cheetal- Spot deer). As good humans, we bought some cucumber and oranges to feed these antelope browsers. They looked very shy to come closer but we had our greed. 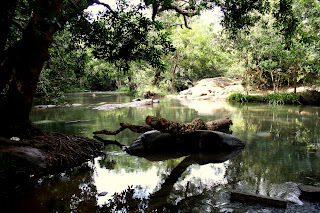 Then the gang of Two Complicated proceeded towards the Cauvery river bank though a small creek more like a brooky ford shallow enough to be crossed by wading. 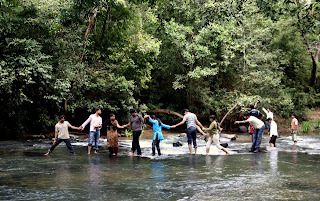 We also saw human chain wading across it, noisy and loud crowd of Sunday. We had some beautiful time with nice photo frame shots. 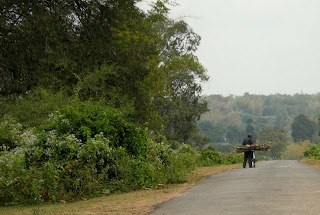 Soon we headed towards the Harangi dam. The road was lonely and ended at the gate of Harangi Dam Unfortunately the dam was closed since 4 years, but we could overlook the gigantic walls. We also met several shepherds on the way to this beautiful reservoir. Our next stop was Abbey falls; the roads were very hilly and ran through coffee estates. The walk to the falls was small but steep. I could see the sunrays casting a gloomy shadow over the top of the fall. The place became quiet as many local visitors retired. 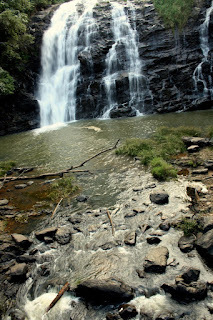 We had our share of photo clicks and we too returned to a much shorter way to the town (5kms only). Since we heard so much about the Raja’s Seat, we winded our way to the top of Madikeri town to witness a lovely sky filled with orange and blue shades for the sunset. The Place was getting crowded for the evening musical fountain show. Which forced us to find our own minister’s and Sipahi’s seat next to the garden premises. A lovely view across the valley was stunning. There was a small gauge narrow railway track nearby with a station “Cauvery Patna”. 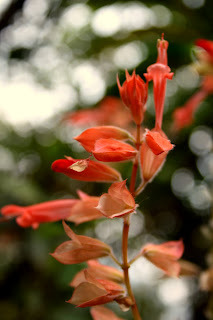 We did shop for Coorg spices and tasted some local wines and went back to our stay very early. 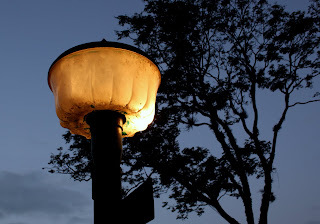 We enjoyed our evening sitting over the balcony witnessing coorg valley lights playing hide and seek with misty clouds. The wind was strong and forced me to have some great patiyalas shot. 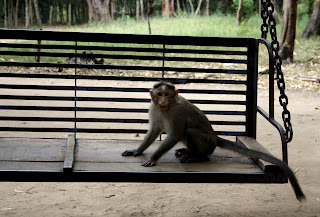 Next day, our ride back to Bangalore started late. We had our shopping in Tibetan settlement on the way back. We stopped midway to devour on fresh watermelons and later in mysore. The Punjabi dhaba next to Infosys served us lovely parathas and lassi. We were back rolling the wheels to Bangalore. Its seems to be a beautiful journey and moreover your way of its description has added a lot of cream on top of it!! !